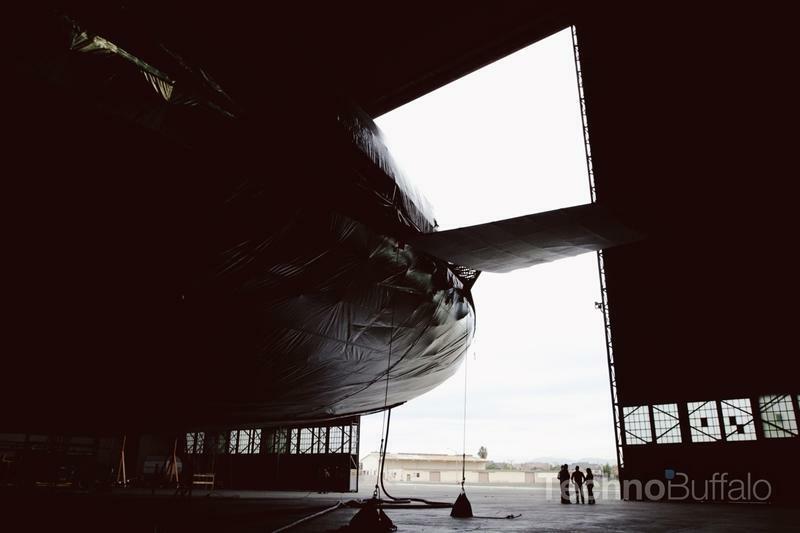 How the airship is going from propaganda war machine to something that could change the world. 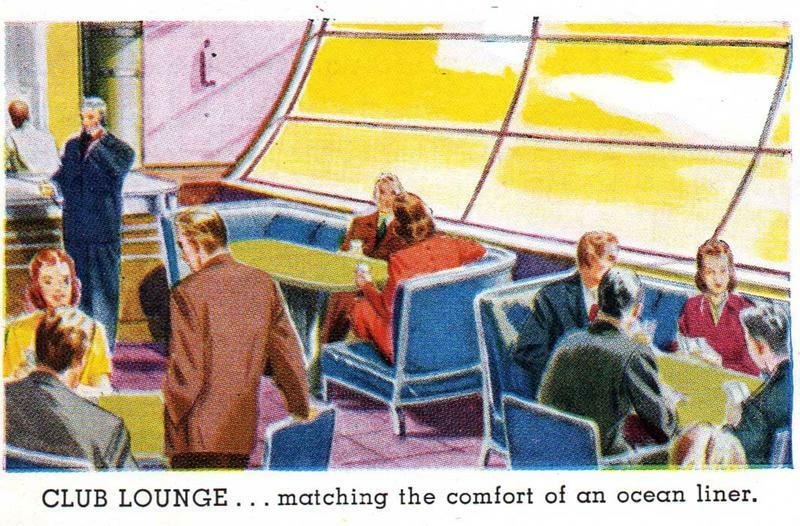 They were billed as the future of transportation, the pinnacle of long-distance luxury travel. Forget planes, trains, or boats. Airships were the new gold standard – "lighter-than-air" – an incredible convergence of human industry and science fiction. Eyes widened, mouths gaped – the world stood captivated. 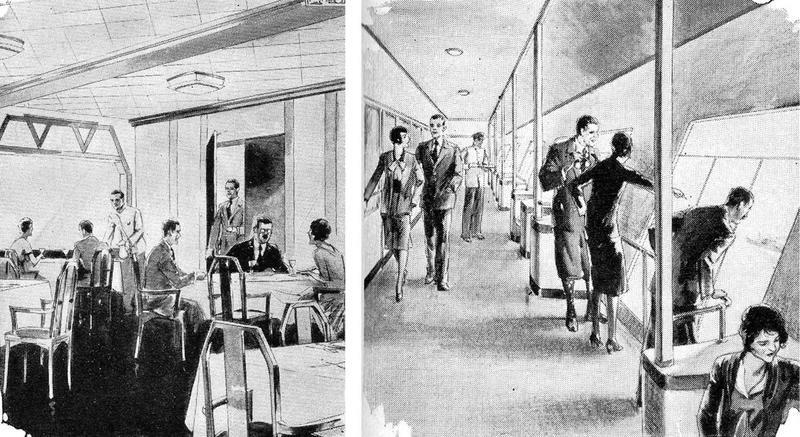 After years of development, a utopian vision of aviation was suddenly realized. The future looked bright. But on May 6, 1937, the era of airships came to a terrible end as the German-made Hindenburg horrifically perished over American soil. It took years to perfect, but only moments to come crashing down. 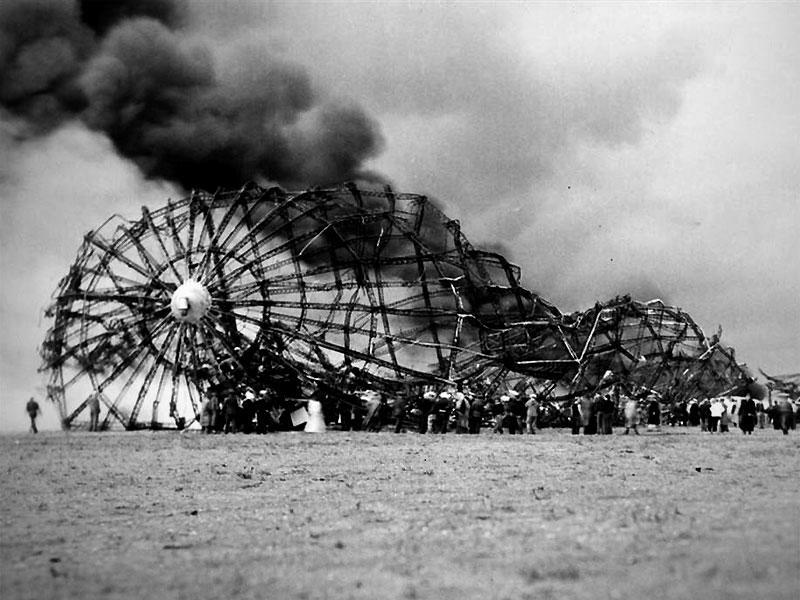 To this day, the legacy of an engulfed Hindenburg still haunts the aviation world, an everlasting reminder of unimaginable tragedy. 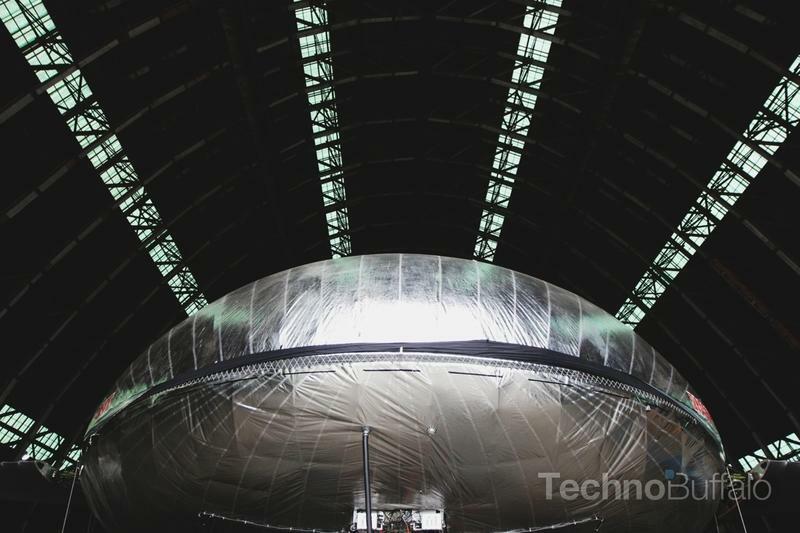 It doesn't sound like a particularly magnetic history worth re-exploring, yet WorldWide Aeros is toiling away on a completely new prototype airship that has the potential to change flight forever. 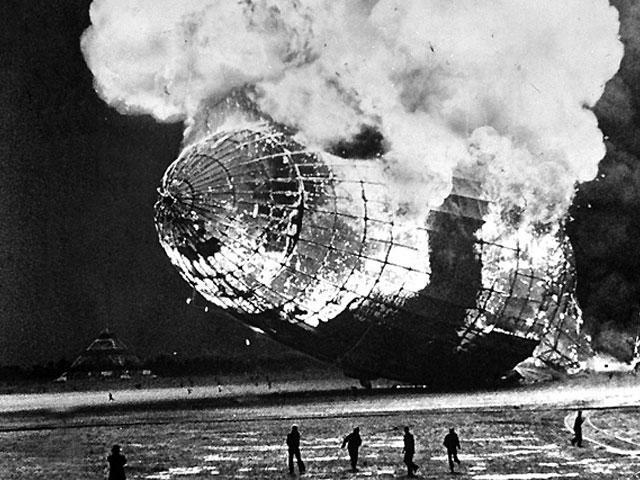 As the Hindenburg sailed to her ill-fated resting place in Lakehurst, New Jersey, members of the media gathered in anticipation to greet the imposing giant. At 800 feet long – about the size of four current Goodyear blimps, and only 76 feet shorter than the Titanic – the immense craft had enough capacity to stow 16 separate gas bags, each filled to the brim with highly inflammable hydrogen gas. 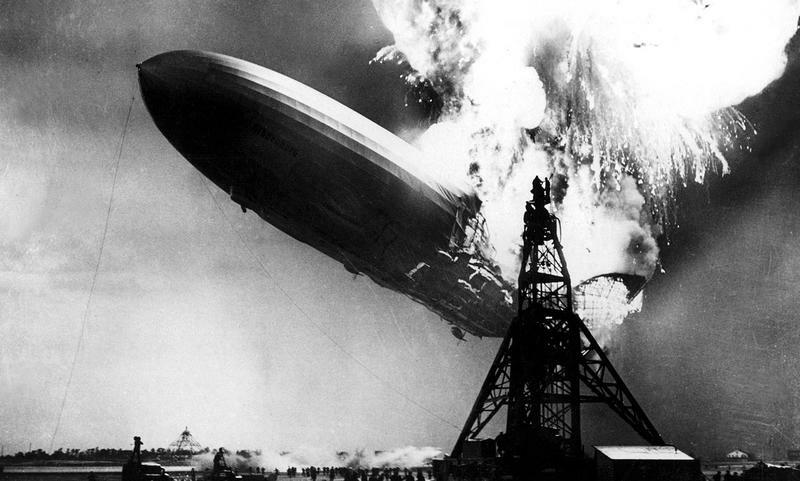 The ship, incidentally, was designed to be lifted by helium (nonflammable gas), but export restrictions against the Nazi regime, which helped fund the Hindenburg, forced the craft to instead use hydrogen as an alternative. A catastrophic mistake in judgment, as we would later find out. 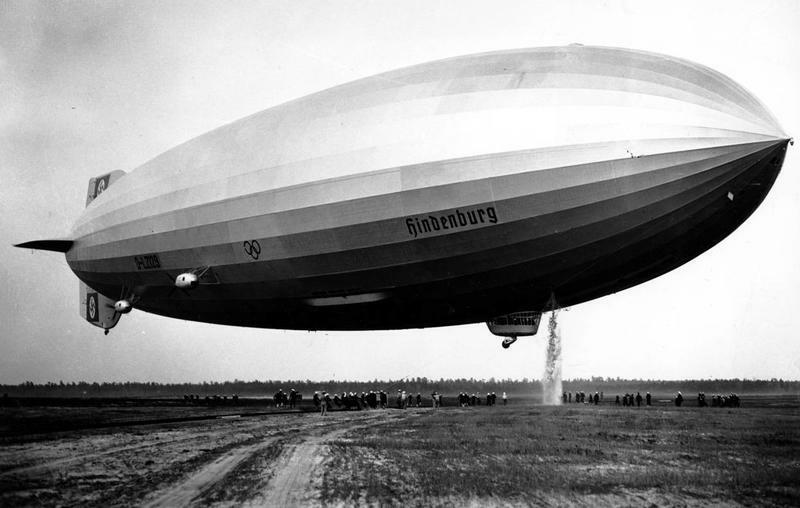 Designed by Doctor Ludwig Durr and a team of engineers, the Hindenburg employed a rigid all-duralumin frame which, for its time, was an immense feat of industry – the biggest airborne craft ever created. At first, she was actually used to spread Nazi propaganda following the Hindenburg's first flight in 1936. 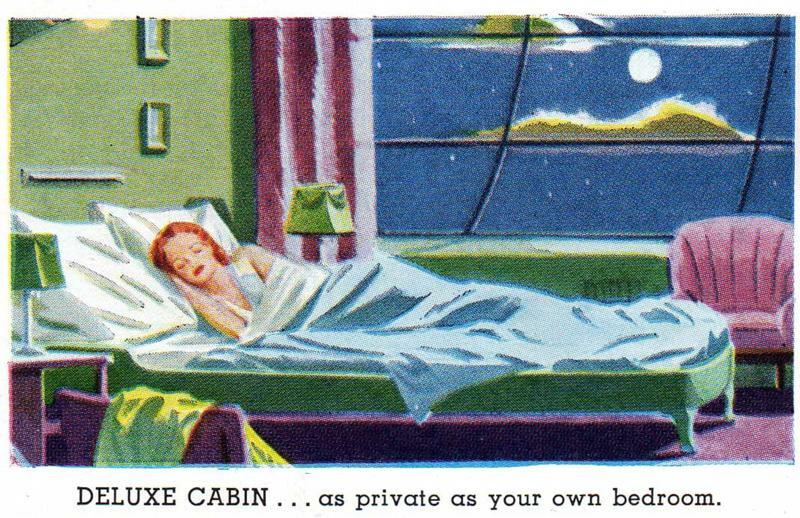 However, she went on to primarily become a commercial passenger airship, routinely traveling to New York from Germany – covering 191,583 miles in twelve months – and other destinations across the Atlantic. Following a successful trip to Rio De Janeiro that year, the Hindenburg promptly commenced on her maiden voyage to the U.S. with 97 passengers aboard, departing from Frankfurt en route to her infamous date with destiny – it would be her first and only trip to the States that year. After a full three days of traveling, in which the journey was described as "unremarkable" aside from strong headwinds, the Hindenburg found itself lumbering over the city of New York – an enthralling site for the gazing public – as she triumphantly made her way toward the Lakehurst Naval Air Station in New Jersey. Among towering skyscrapers in one of the world's largest cities, the Hindenburg looked a modern day Titan: impenetrable, powerful, perfect. 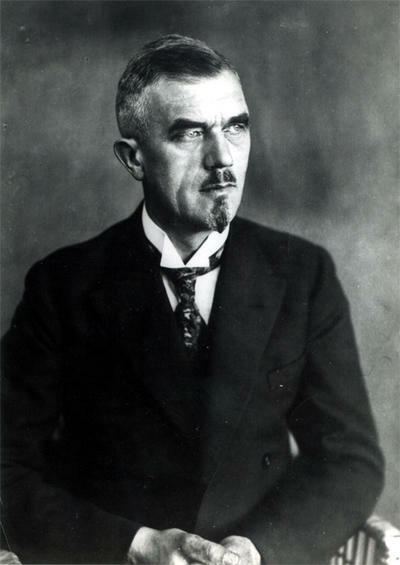 Doctor Ludwig Dürr, Leader of the Hindenburg's design team. 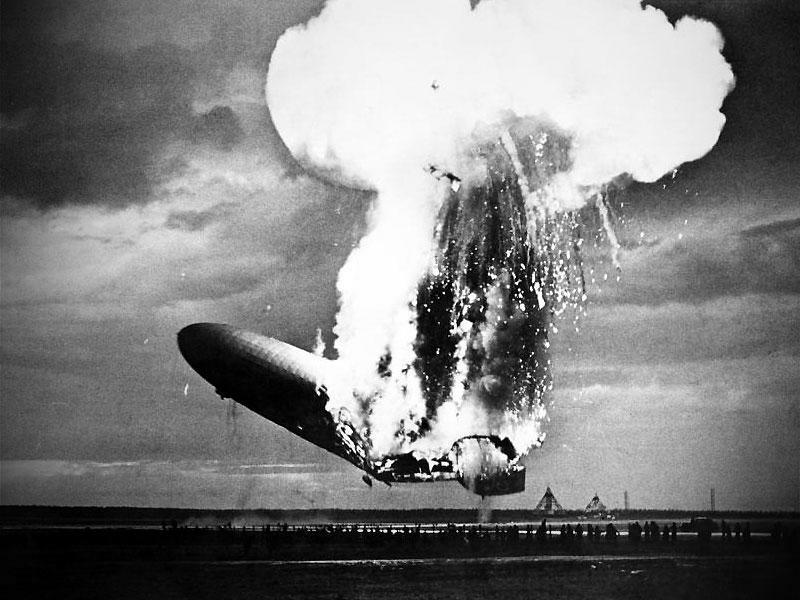 Theories abound of the Hindenburg's demise: of sabotage, pilot error, crew carelessness, or perhaps a passenger mistake. While an exact cause of death hasn't been pinpointed, even after all these years, many cite a more ominous figure as the Hindenburg's eventual downfall: Mother Nature. On that fateful May evening, clouds threatened rain, while biting winds blew unpredictably – west, east, south, and back east again. 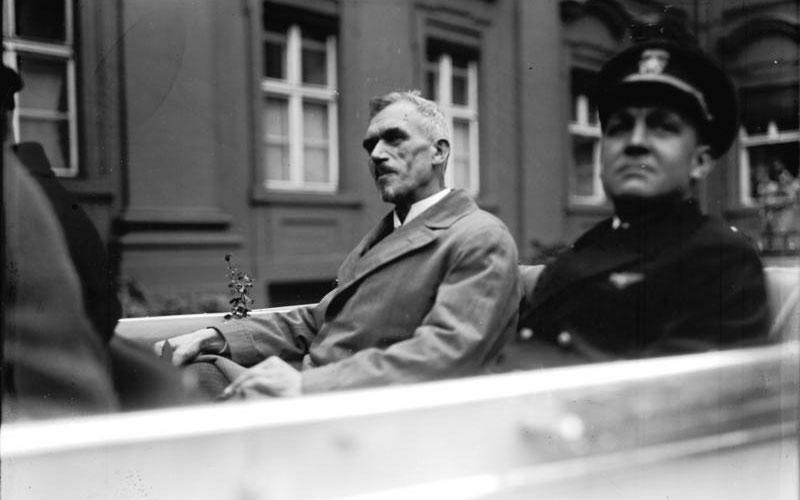 This made landing all the more problematic, almost impossible, but the Hindenburg was already well behind schedule that day – it was supposed to do a quick turnaround back to Frankfurt – so it couldn't delay any longer. For fear of missing a deadline; for fear of embarrassment in front of the whole world. As she made her eventual descent toward Earth, gracefully circling overhead and dipping her nose to prepare for a high landing – or flying moor, which required the craft to be winched down to a mooring mast – the ground crew took their positions, at the ready. People gathered excitedly, media was attentive, the world watched in suspense. By all accounts, everything seemed fine considering the conditions, maybe even a bit romantic with the rain lightly falling. And then it happened. Terrible cries suddenly rang out from the crowd. 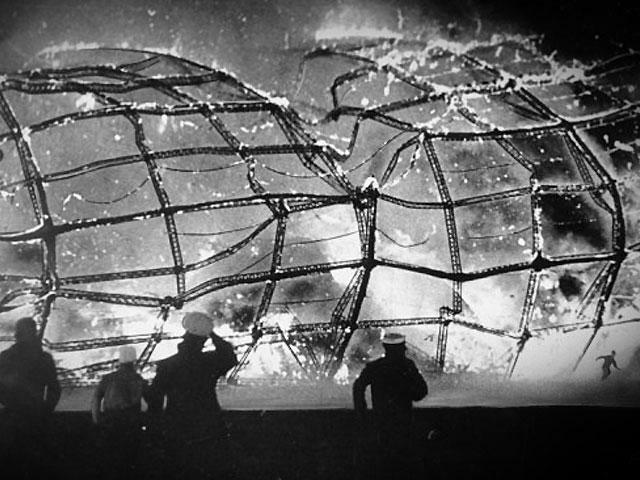 Out of nowhere, the Hindenburg was stricken by snarling fire – the point of origin is still unknown, but the belief is that lighting may have struck an exposed area – almost instantaneously engulfing the entire airship. The blaze spread with such ferocity that it only took seconds for her to become fully consumed by fire. The craft suddenly appeared as if the sun itself had plummeted down from space. It was a catastrophe in every sense. There have been several eyewitness accounts of the awful tragedy. But easily the most lasting description of what happened was the haunting broadcast of radio reporter Herbert Morrison. The audio is both captivating and painfully horrifying. it's – the rain has slacked up a little bit. It's fire – and it's crashing! It's crashing terrible! Oh, my, get out of the way, please! and the – and it's falling on the mooring-mast and all the folks agree that this is terrible, this is the worst of the worst catastrophes in the world. it's a terrific crash, ladies and gentlemen. and the frame is crashing to the ground, not quite to the mooring-mast. Oh, the humanity and all the passengers screaming around here. I told you, I can't even talk to people whose friends are on there. I – I can't talk, ladies and gentlemen. Honest, it's just laying there, a mass of smoking wreckage. Ah! And everybody can hardly breathe and talk, and the screaming. Lady, I – I'm sorry. Honest: I – I can hardly breathe. I – I'm going to step inside where I cannot see it. Ah, ah – I can't. I, listen, folks I – I'm gonna have to stop for a minute because I've lost my voice. This is the worst thing I've ever witnessed. Fast forward to today, and WorldWide Aeros is attempting to defibrillate the flatlining industry of airships – and in the process, resuscitate public confidence in the dazzling giants. 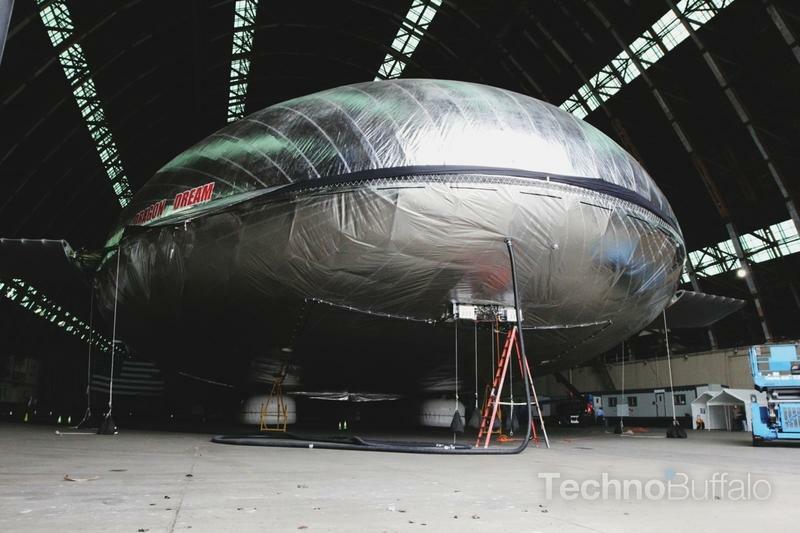 Founded in Ukraine before coming to California in 1994, Aeros has been confidently manufacturing traditional blimps used for more common purposes, including surveillance, advertising and short transport. A good endeavor – but Igor Pasternak, CEO of the Montebello-based company, wanted to achieve something much greater; Pasternak always fostered grander visions of what airships were capable of, ever since he was a young child. That's why he built an airship empire more than twenty-five years ago. The silvery craft is Pasternak's dream made reality. And Aeros is just getting started. It may seem like something of another age, but the company's new dirigible prototype is being considered a game changer, an innovation of the highest order. 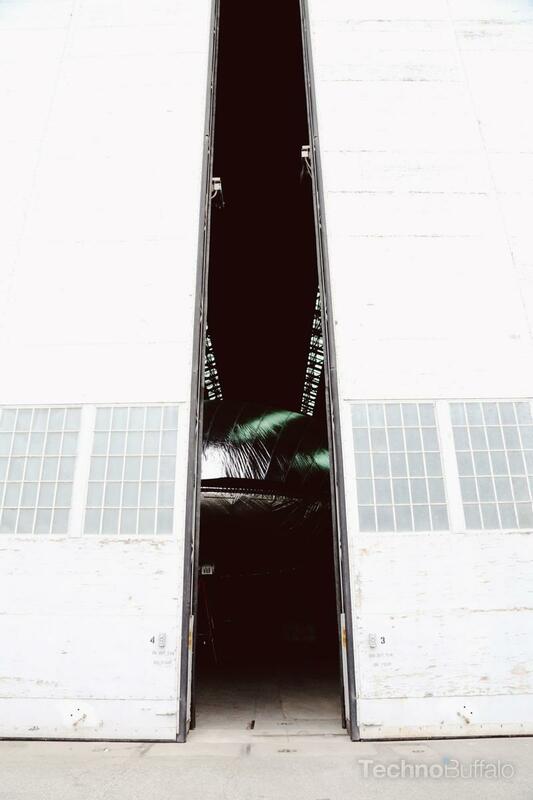 If executed correctly, the Aeroscraft may be what our children see filling the skies in the years to come. Not only can the technology alter the future of aviation, but it has the potential to improve the entire planet in a hugely significant way – it's the reason Pasternak, whose curly mop and European descent fit the description of a Bond movie character, is excited to realize the Aeroscraft's potential. And it's exactly why the company managed to secure over $35 million in funding in Pentagon and NASA contracts. 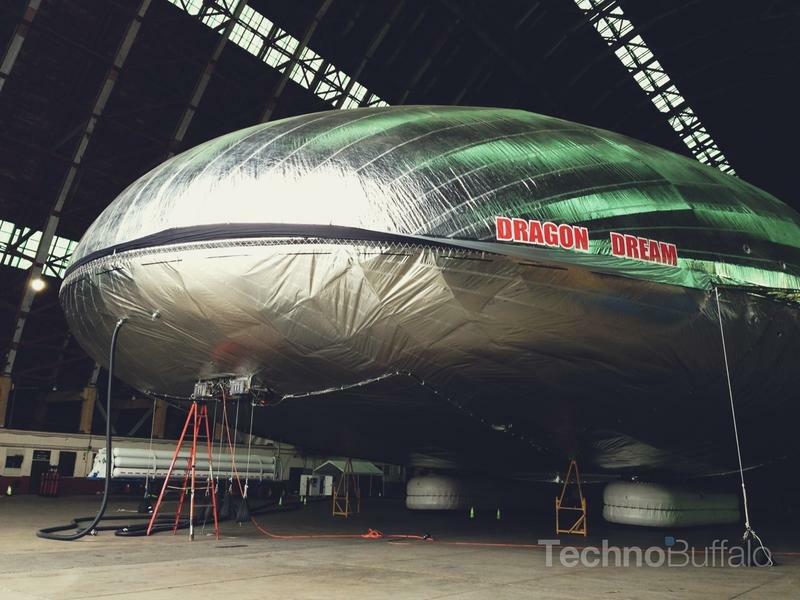 In the most basic terms, Munir Jojo-Verge, Lead Flight Systems Control Engineer, says the company's hybrid airship can be explained as an airborne submarine. To rise, the airship releases compressed helium from the craft's nine vessels, filling the hull and causing it to become lighter than air. To go down, simply reverse that procedure – pumping helium back into the vessels will create a vacuum that then draws air into cylindrical tubes inside the craft. It sounds complicated, but it's actually quite simple. "This is literally a flying submarine; it's never been proven before," JoJo-Verge said. "In one hand you have airships, which are pressurized balloons basically, full of helium, that use that lightness of the helium to lift the weight. On the other side you the back history of the Hindenburg, which is a rigid airship. 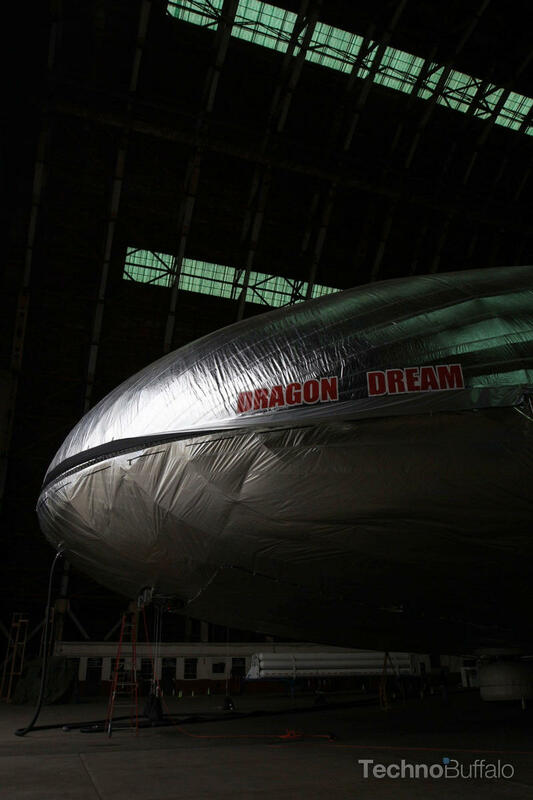 The Aeroscraft combines the airship world with the rigid structures of the past, and brings technology of the submarine into the equation." This, in essence, creates a new and compelling segment of aviation. "It's never been done." That ability is owed to Aeros' innovative new high-tech buoyancy system which, in theory, can lug 66 tons of cargo – food, construction material, military supplies, anything – to nearly any spot on the planet. Just imagine how valuable that would be to governments, especially in regard to relief efforts when disaster strikes. It honestly sounds like pure science fiction, a romantic hallucination. 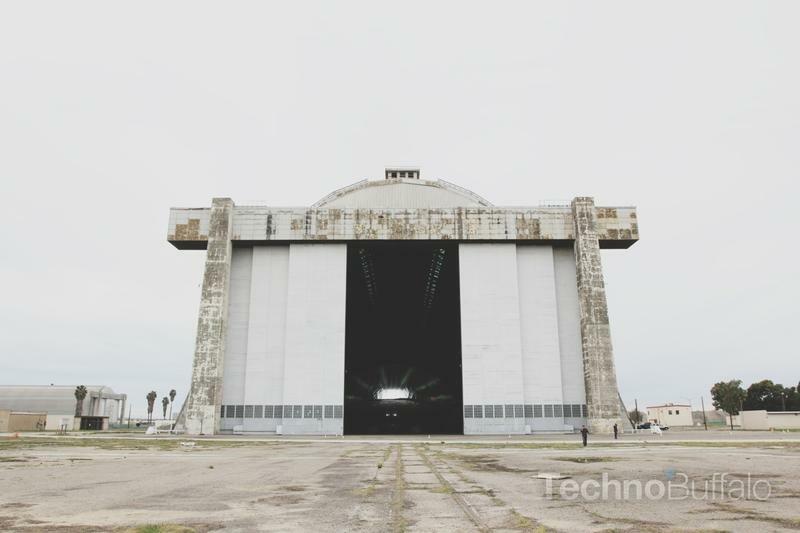 But I saw the 36,000 pound prototype with my own two eyes, proudly sitting in an old World War II hangar not far down the road from TechnoBuffalo's Irvine office, and it's absolutely real: a massive 254-foot-long silver trophy ready to change transportation forever. The Future. 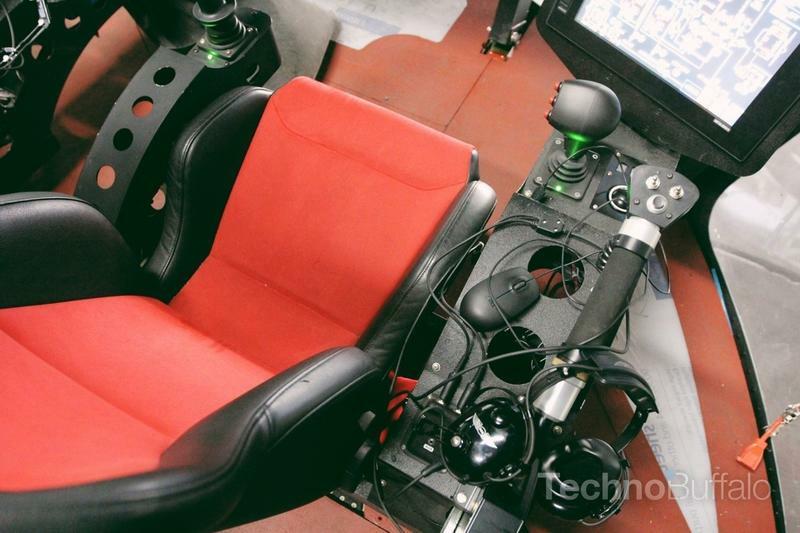 And this is only a prototype – a much larger version is planned. 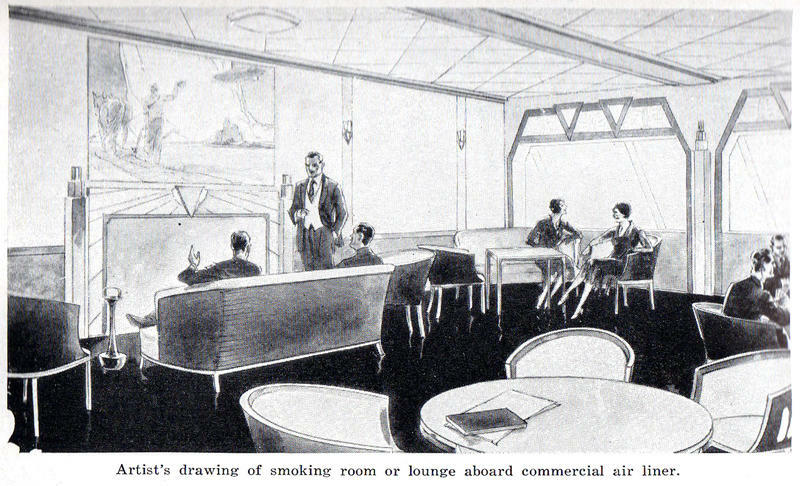 There's always been a public fascination with airships, even before the Hindenburg ferried its first customers over Atlantic waters. You can trace evidence of airships back hundreds of years, beginning with the simple balloon. As early as 1783, legends tell a fantastical story of the Montgolfier brothers, who launched a sheep, a duck and a rooster on a two mile, eight minute journey across the royal palace of Versailles in a hot air balloon concocted of alum-varnished taffeta. That was a start, but obviously limited in its execution and technology. It wasn't until 1784 when Jean Baptiste Meusnier proposed the longer hotdog shape we associate with airships today – everything began to literally take shape. Meusnier's blueprint planned for a three airscrew propeller design and a steerage rudder on the aft, similar to that of a boat. But with engineering limitations far behind the human imagination, his idea didn't really gain any traction until motorized propulsion was introduced into the airship market by Henri Giffard in 1852. This eventually set the stage for one Ferdinand Adolf Heinrich Graf Von Zeppelin, whose intellect and obsession lead to the modern dirigible. In 1900, Zeppelin constructed a 420 foot long rigid airship, the Luftschiff Zeppelin 1, or LZ1, and successfully launched it in front of a 12,000 strong crowd. For all intents and purposes, the rigid airship was born, and the lighter-than-air craze took hold. The era of LTA transportation was suddenly a worldwide sensation. Zeppelin eventually perfected his model to the best of his abilities, creating ships of immeasurable size and strength. In 1908, at the ripe old age of 70, Zeppelin's ship became the prototype for every rigid airship to follow. When I first saw the prototype Aeroscraft, it was difficult to comprehend – an overwhelming creation that looked like it originated from Area 51, something outside the realm of comprehension. I didn't know how to react, even though I'd seen pictures of it beforehand; you're not really prepared to see something so far removed from your normal routine. Instead of free-flowing synapses jumping through my brain, my thoughts erupted with nothing but demolition derby carnage. The 17-story hangar where the airship rests is impressive in its own right, a wooden fortress overlaid with enough concrete to pave a major city. From the ground it's an immense war cathedral, so massive a structure that it practically contains its own atmosphere. If Greek Titans were among men, the base's North hangar would be perfectly suited as a home. My impressions of blimps prior to seeing the Aeroscraft have developed from what I've seen shambling high above sports stadiums. They languish, churn out primtetime coverage, and land. But beyond that, the nonrigid airships simply sulk at their resting place until the next major sporting event. I soon learned what Aeros has built is nothing like that. 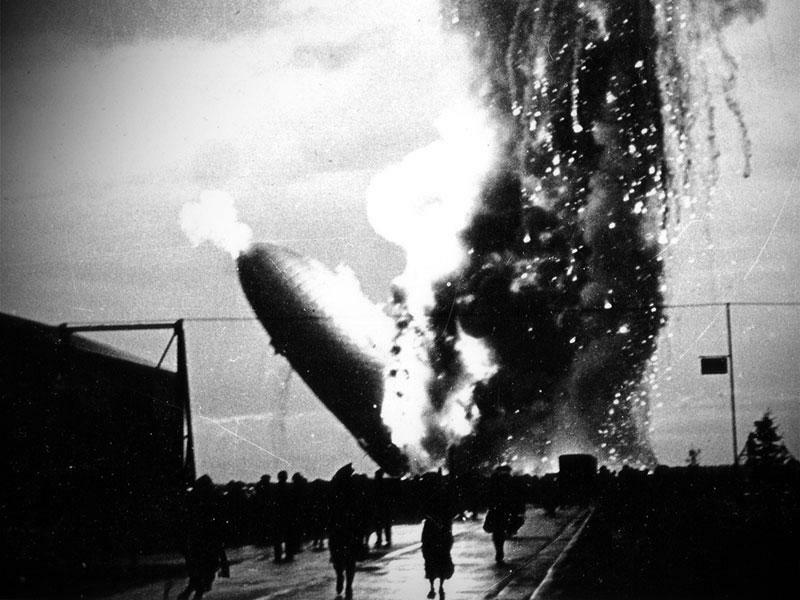 This is the farthest possible thing from a one trick Goodyear pony and, for that matter, the Hindenburg. 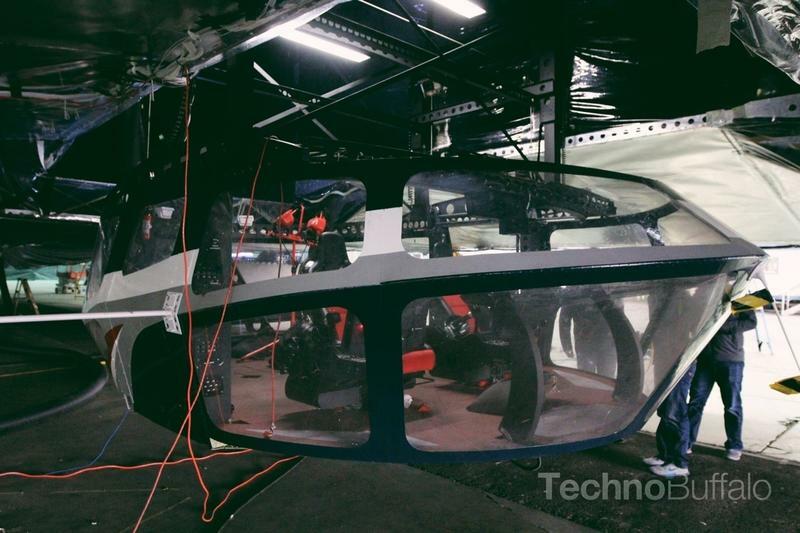 The prototype we saw has been engineered with an internal skeleton, made mostly of aluminum and carbon fibers, where all the load bearing takes place. 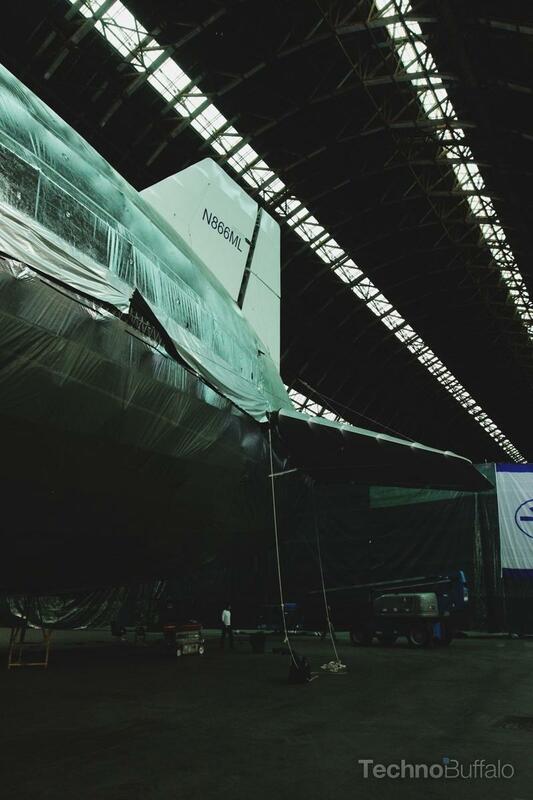 On the outside, Aeros has developed a special multilayered system of helium barriers, UV protection and other fabrics to ensure the airship's internals are protected – lightning dissipation has even been built into the fabric in case of violent weather, Tim Kenny, Lead Aeronautical Engineer, told us. The cockpit houses an advanced health monitoring system—which is setup like an arcade flight simulator—and a number of cameras so the pilot has eyes on every inch of the craft. What we saw was merely for demonstration purposes, but there's a blueprint there that can be built upon as Aeros moves into an actual production model and refines its bearing landing framework. 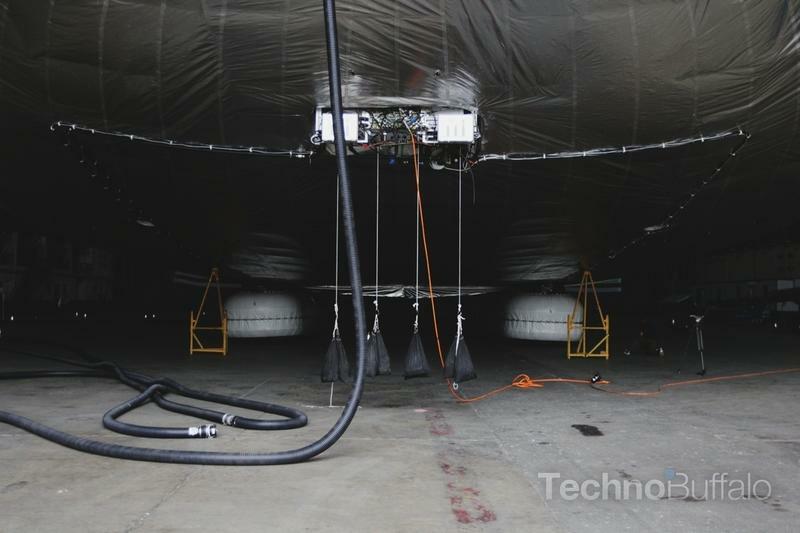 JoJo-Verge told us that the Aeroscraft's steering and control systems were all designed in-house, suited strictly for the company's advanced airships. Even though the Aeroscraft is different in many aspects to what's come before it, it's easy to dismiss something associated with such a horrible past. The Hindenburg was nearly 76 years go, but there will always be comparisons. The German craft was a failing enterprise simply because it relied on dangerous hydrogen gas. Helium, on the other hand, is perfectly safe for such vehicles, and is naturally non-inflammable. The gas, discovered in America, became such a valuable resource early on that Congress passed the Helium Act in 1927, which basically prohibited export unless under authorization from the President. 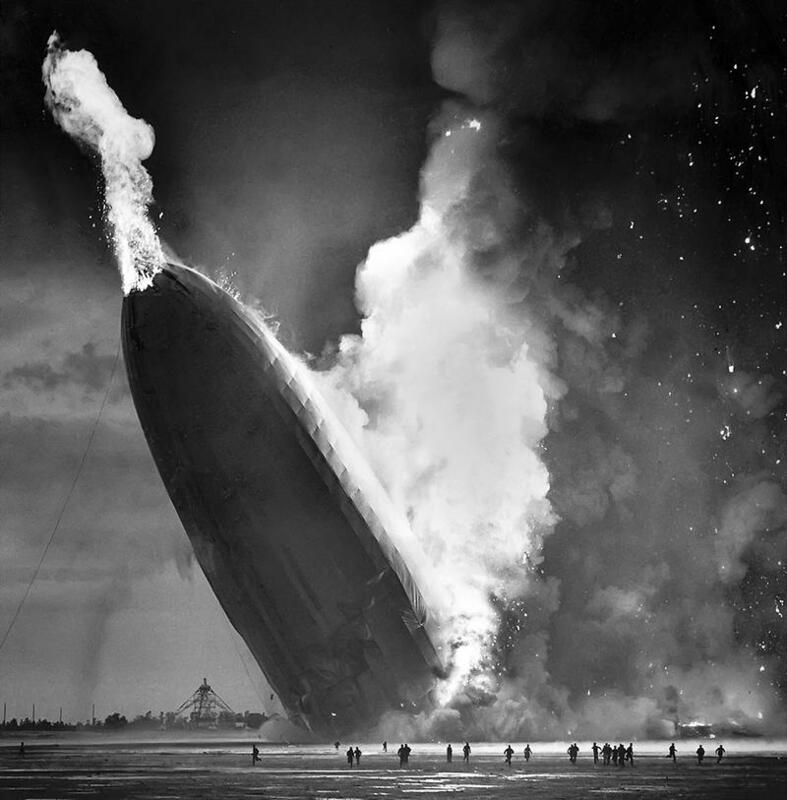 That Act was promptly amended in 1937 following the Hindenburg tragedy. 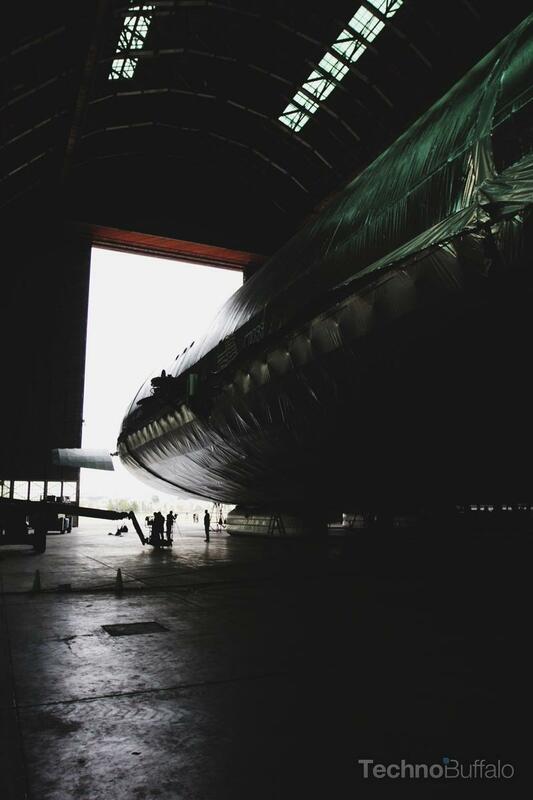 The fact that Aeros isn't creating the Hindenburg 2.0 is precisely why the company is so intent on pushing airships into the mainstream – to reignite enthusiasm. Aeros knows it has something truly special. "We believe that the Aeroscraft vehicle with its global reach will revolutionize the transportation of large and heavy cargos, transforming any number of equipment-dependent mega-projects and the industries that manage them including wind energy, aerospace, petroleum, highway construction, engineering and telecommunications," Pasternak explained. Probably the most defining feature of Aeros's vision is that an established ground infrastructure is completely unnecessary – it can take off and land vertically. If an airport isn't there, it won't make a lick of difference, meaning the potential flexibility is off the charts. Thanks to a unique pressurization system, pilots have on-a-dime control over static heaviness, so it can be as light or heavy as needed. Additionally, the craft contains propellers that can rotate 90 degrees to help with vertical takeoffs. This allows the craft to carry impossible loads of cargo and people to most any point on earth – on snow, sand and even water if needed. JoJo-Verge, an affable and noticeably passionate speaker, told us that the 66 ton model, which will be over twice the size of the current prototype, can travel roughly 3,100 nautical miles at around 174 mph – between Los Angeles and Frankfurt without a problem – on a standard fuel tank level; the craft won't even need to land to get refueled, again showing enormous flexibility without the need for a previous infrastructure, or even ground personnel. "From the engineering perspective we see plenty of applications because we know what it's capable of," JoJo-Verge explained. "The capability of this vehicle is heavy cargo transportation. So when you think about cargo transportation, you are not limited to anything. Whatever you want to transport, you'll be able to. I see unlimited uses depending on society's needs: firefighting, moving construction material or even a flying casino. It's only limited by our social needs and our imaginations." From a government standpoint, Aeros's technology can improve how countries respond to places in need of aid – both people and supplies can be delivered into a devastated area more swiftly than any plane or ground force. The logistics make the Aeroscraft a much cheaper and swifter course of action, especially when transporting complex cargo across continents and oceans. Airplanes and helicopters are perfectly capable transportation, but are limited in where they can travel and how much they can carry. Aeroscraft perfectly mitigates this. 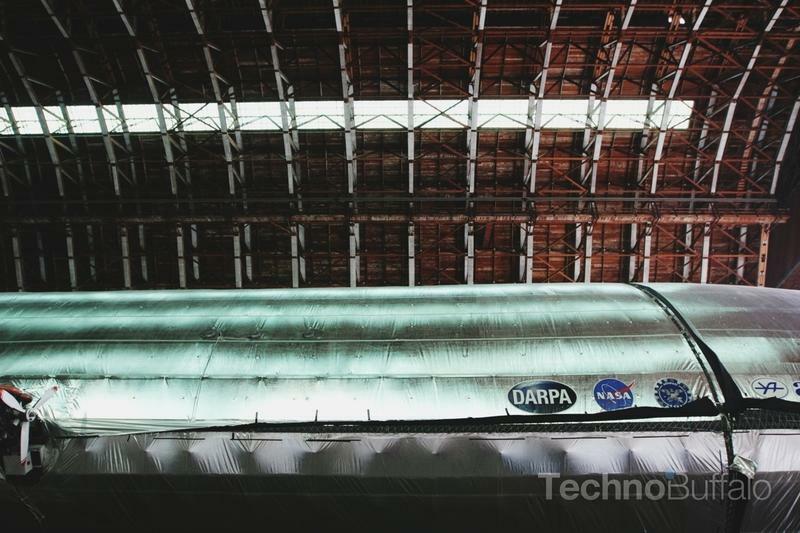 Commercially, imagine the Aeroscraft becoming an airborne cruise-like enterprise. Rather than hiking trails of Zion or Yellowstone, you can quietly float over some of the world's most beautiful natural wonders. It's an industry booming with untapped potential. Sleep in your comfy bed, and in the morning look through your window at the face of Yosemite's Half Dome. The next day explore the unmatched beauty of the Grand Canyon. It's not the quickest mode of travel, but that's not the point of a cruise anyway. It will open up whole new ways to experience the world. 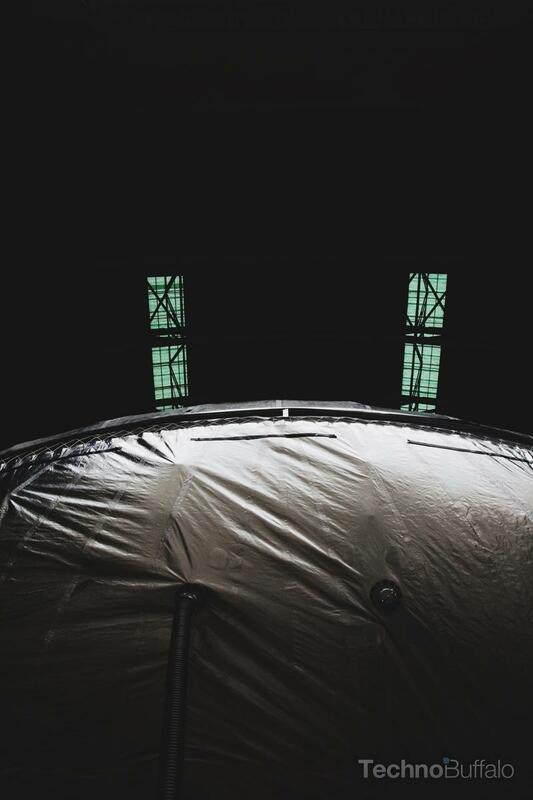 Even with an innovative buoyancy system, seven layers of protective fabric and years of technological advancements, weather is an inherent airship concern. Kenny told us that, as is the case with current aviation regulations for every vehicle, flight plans will work around inclement weather systems. That's not to say, however, that a 66 ton Aeroscraft will be any less safe than a standard airplane. And, in fact, dirigibles are just as safe, if not moreso. JoJo-Verge said the Aeroscraft was designed to fly under an altitude of 12,000 feet and below, where the cabin doesn't need to be pressurized. This is a huge element of the craft's flight, and means it doesn't need to be outfitted with the same overhead oxygen system found on traditional commercial airplanes. Wind is of a lesser concern. We were told the Aeroscraft can maintain a normal flight path in 60 knot winds (about 70 mph). Basically, it's not going to play chicken with a major storm system, and definitely isn't going to bore full steam into a hurricane. There are risks, sure, when flying a dirigible of such immense size, but those risks are also involved with planes and helicopters, too. Something like the Aeroscraft would actually be less susceptible in freezing conditions, and withstand rain, snow and hail without a problem. Right now, the company is still fulfilling its contractual obligations to prove that the Aeroscraft isn't just an idea, but a working concept. 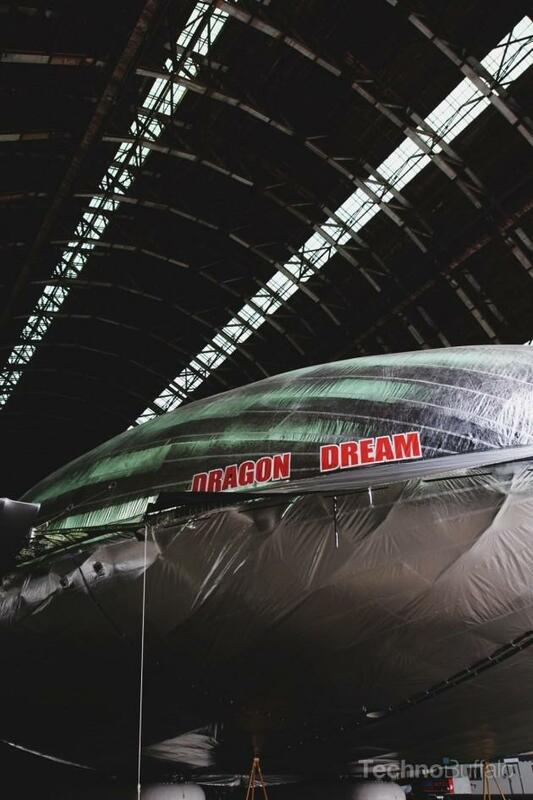 The company recently demonstrated that its huge airship, dubbed Dragon Dream, is capable of moving without assistance from ground personnel – one of the airship's biggest advantages. Aeros still has three demonstrations to go, including a vertical takeoff and offloading cargo without taking on ballast – both rely on the company's buoyancy system. The foundation was set many years ago, and Aeros seems to have perfected the model through years of tireless research and the desire to create a better airship. The prototype still has to undergo field testing, but once that's done, the bigger 66 ton model can enter the picture, and that's really when things will get exciting. If all goes according to plan, government, commercial and humanitarian efforts could improve dramatically, ushering in an entirely new era of transportation. 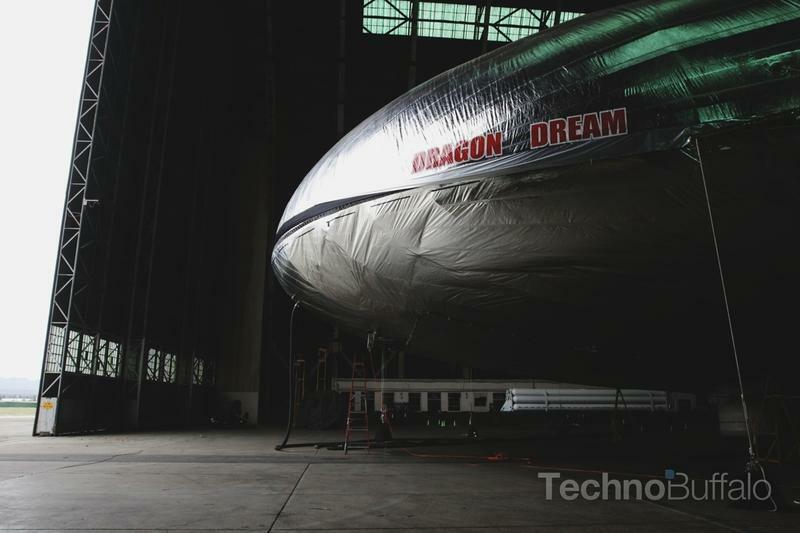 If Herbert Morrison were around to witness the Aeroscraft today, he wouldn't cry out "Oh, the humanity" in horror, but in delight – a new, bright age of airships is upon us. 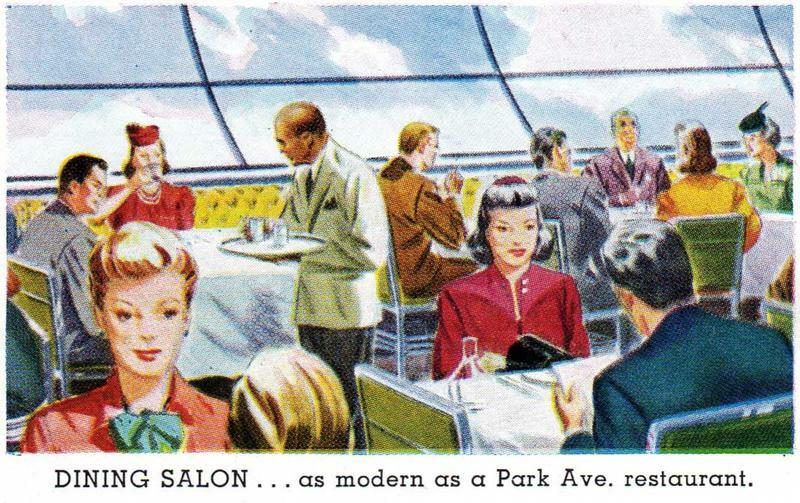 That utopian fascination that was nearly consumed in the Hindenburg might actually one day come true. Special thanks to Munir JoJo-Verge, Tim Kenny, Sadia Ashraf and the rest of the Aeros team for their gracious hospitality.